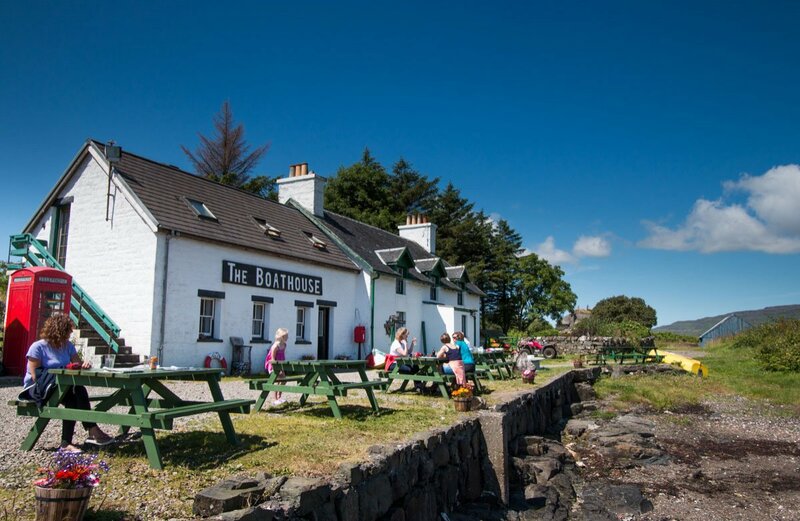 The Isle of Ulva makes a brilliant day trip for visitors to Mull, as it is a short five minute ferry ride away, and the walking routes and Sheila's Cottage on the island, give you plenty to do, before relaxing at The Boathouse and enjoying a delicious lunch by the pier. 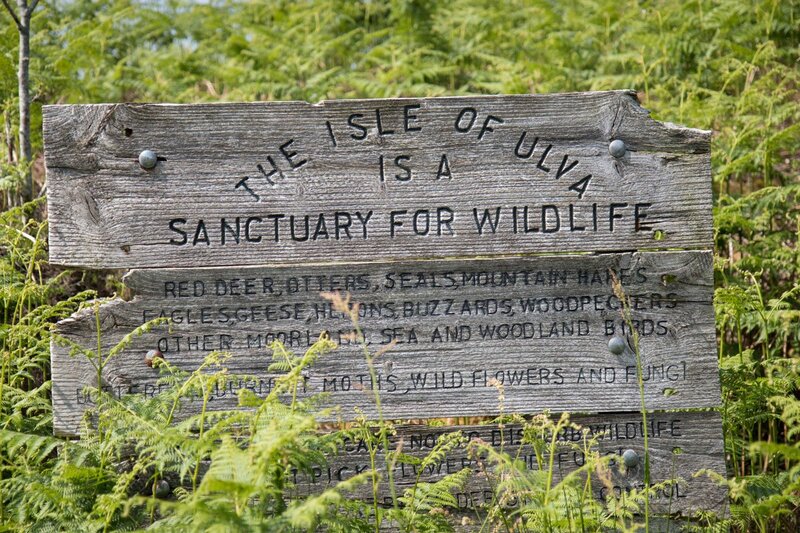 Ulva Ferry is the name of the area where you will find parking and the pier, on the west coast of the Isle of Mull. 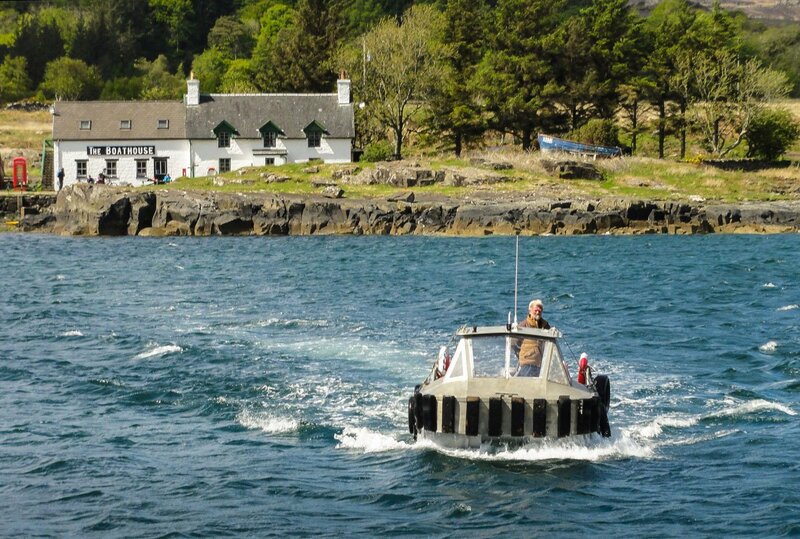 The ferryman runs the boat from here, Monday to Friday 9am to 5pm, and also on a Sunday from the 1st June through to the end of August. 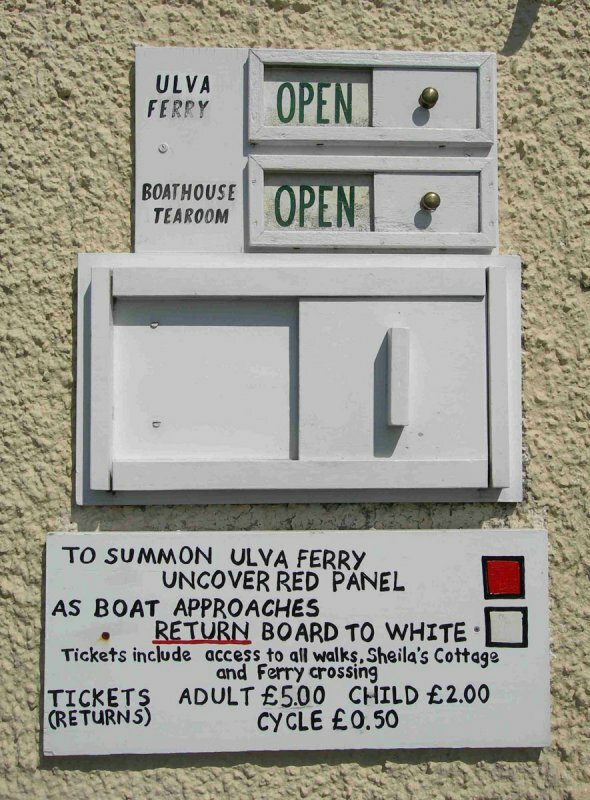 There is no timetable, you simply hail the boat via a sliding panel at the pier side. 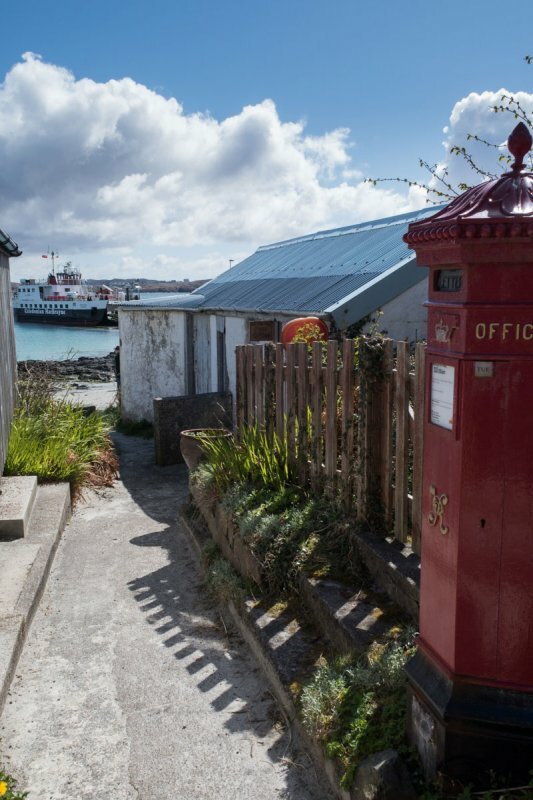 The island has a handful of full time residents and there are no cars to speak of, which makes the island a unique place to visit. 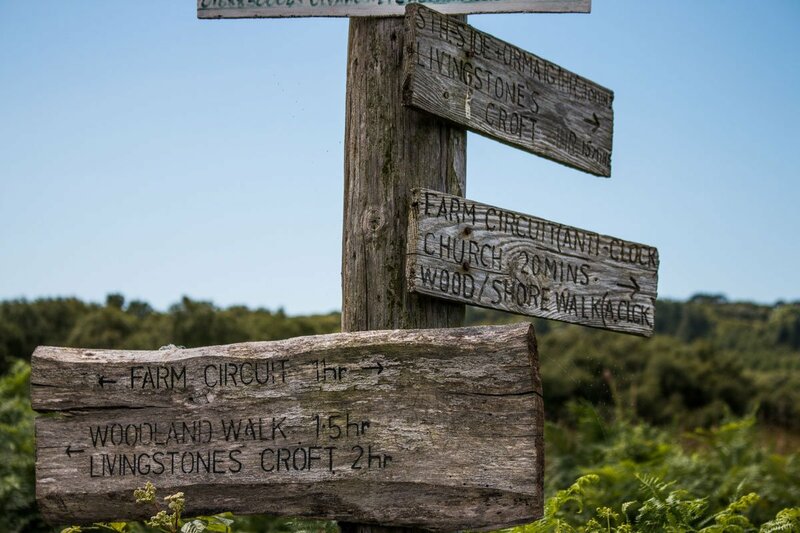 Way marked tracks and woodland paths criss-cross the island making exploration easy, but bring sturdy boots and provisions as the terrain is fairly rough in places. 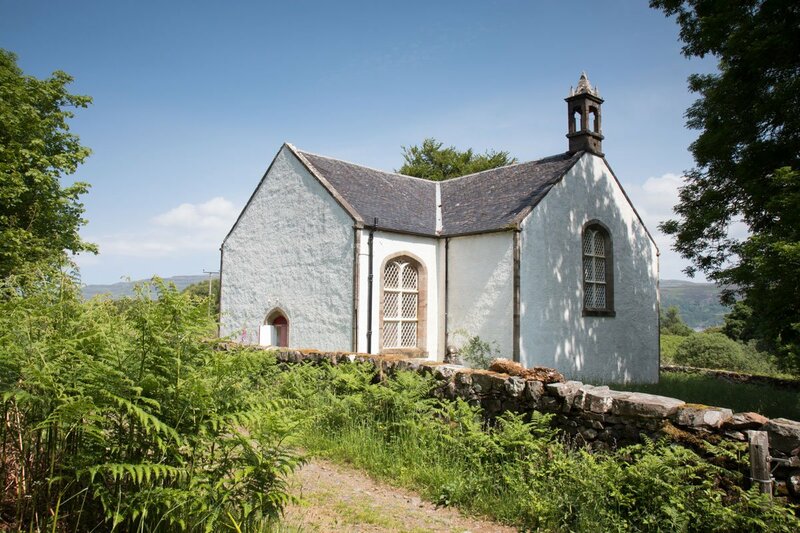 There is a lovely little church (designed by Thomas Telford) to visit, the remains of ruined villages, Livingstone's Cave and beautiful woodland walks. 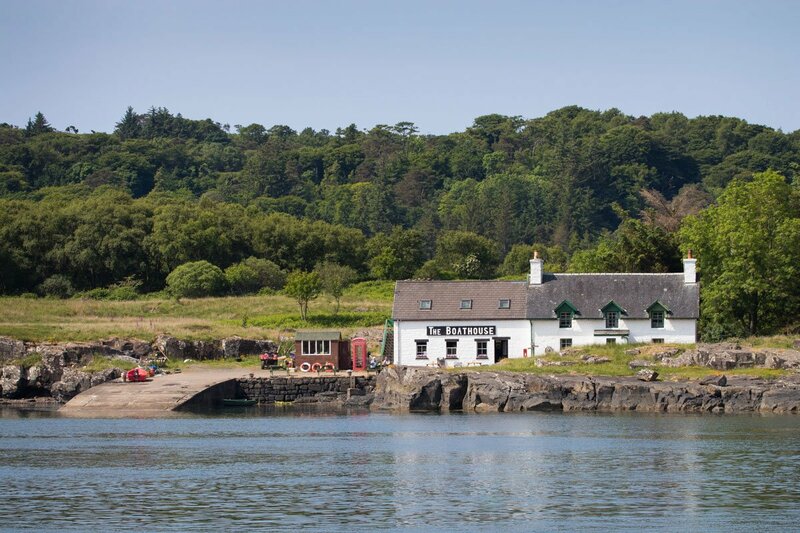 As you disembark from the ferry, a slipway leads up to The Boathouse, which serves locally caught seafood (straight from the boats that fish the waters near here), and also sells home baking, crafts and other produce. 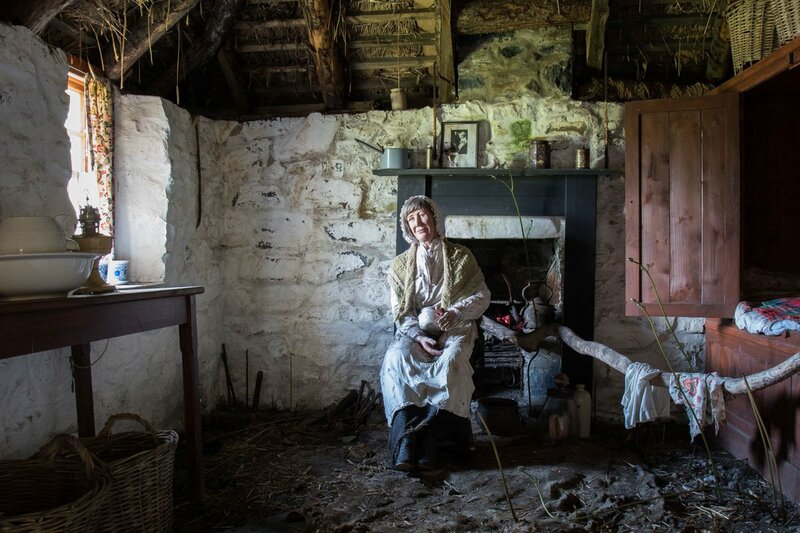 A short distance from this is Sheila's Cottage – a thatched croft house which was lived in in the early 20th century and has been reconstructed to offer a glimpse life at that time. 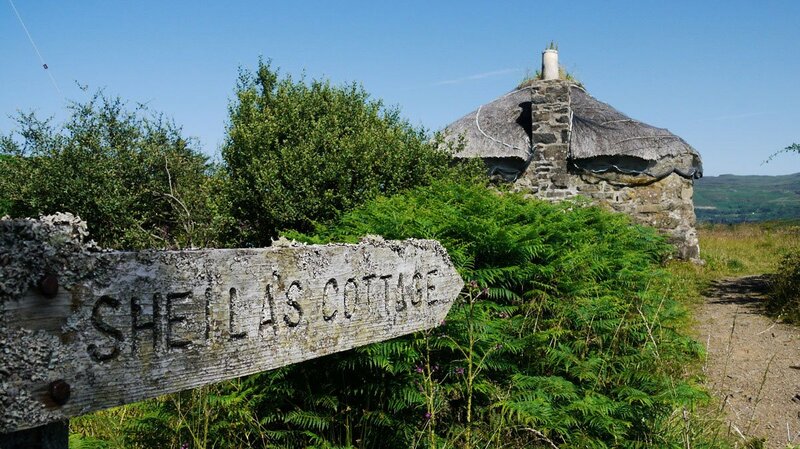 The cottage also displays information about the history and wildlife of Ulva. 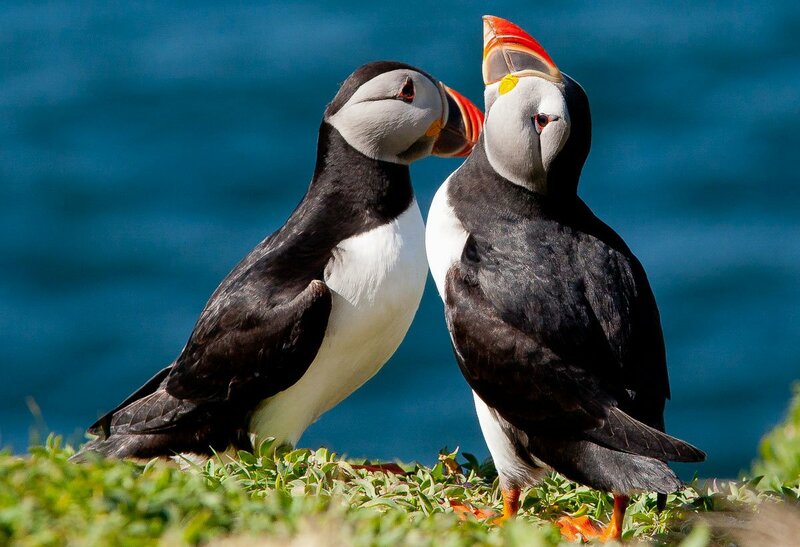 Another attraction is the fantastic array of flora and fauna. 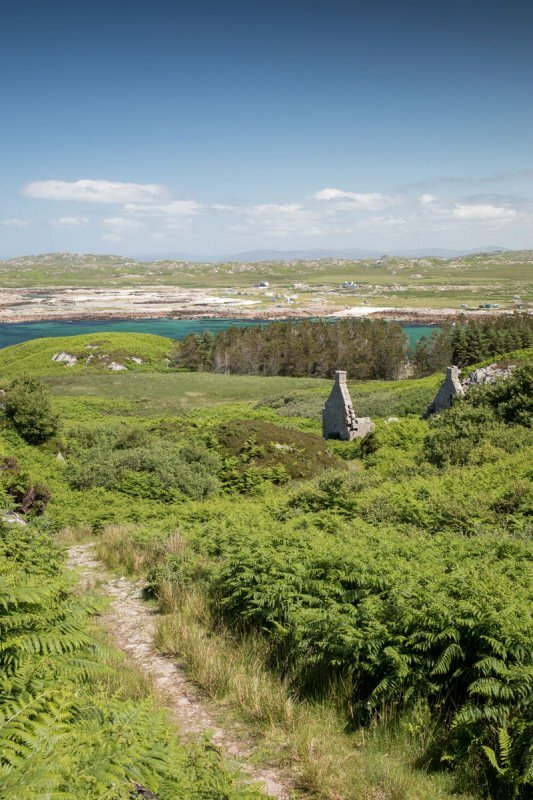 From rare wild orchids to native lichens and ferns, botanists will be in their element. 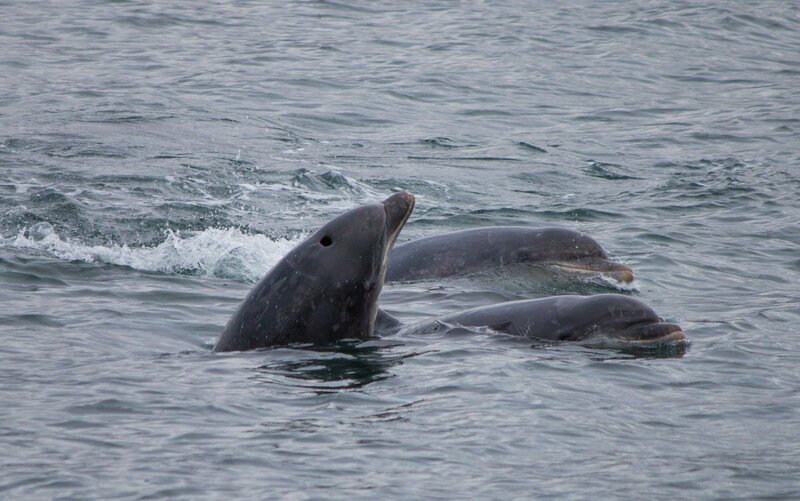 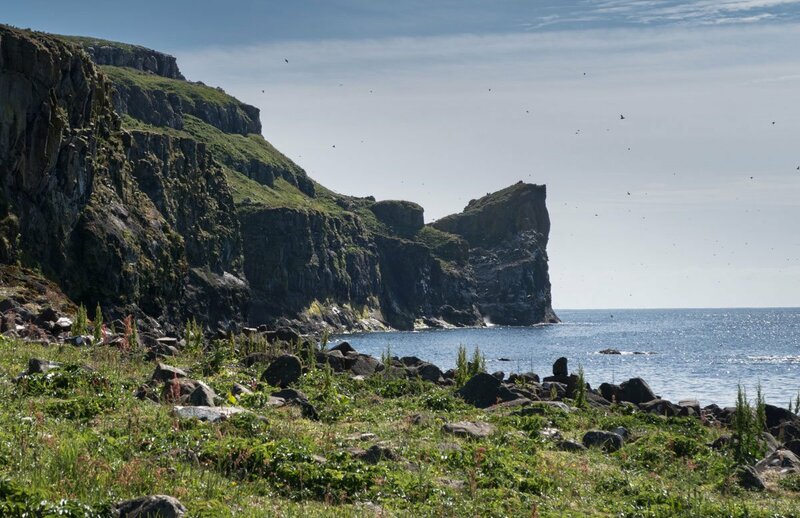 Watch out for red deer, stoats and mountain hares and when you are beside the coast, keep an eye out for Atlantic grey seals or even a passing dolphin or porpoise. 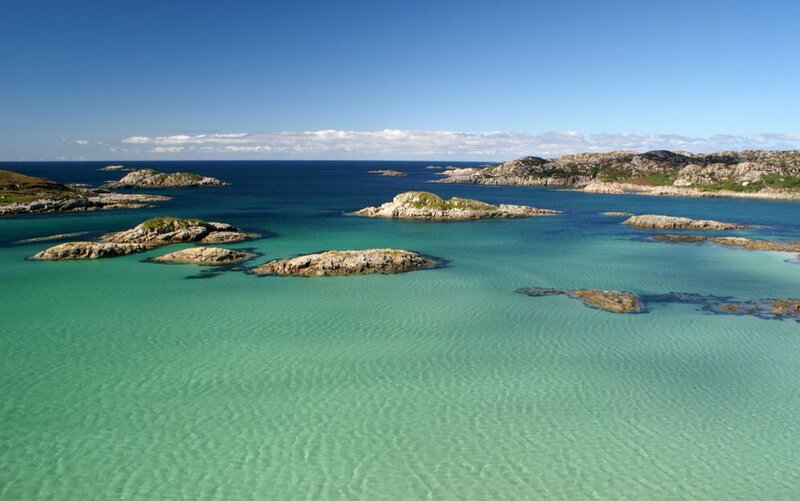 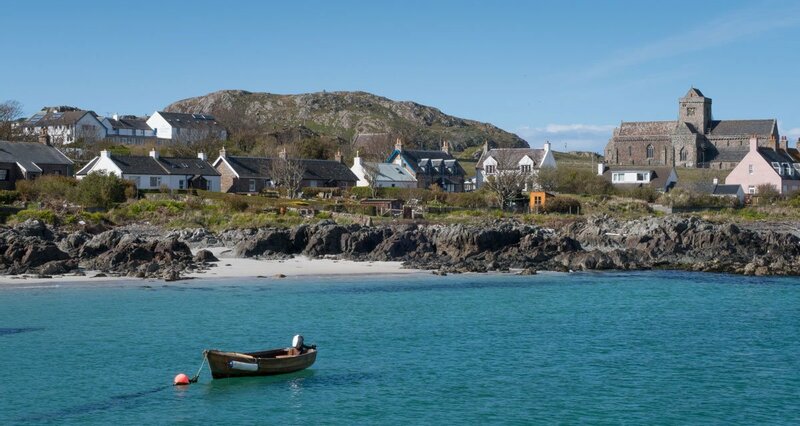 Iona, situated on Mull south western point, has a special character and atmosphere of its own. 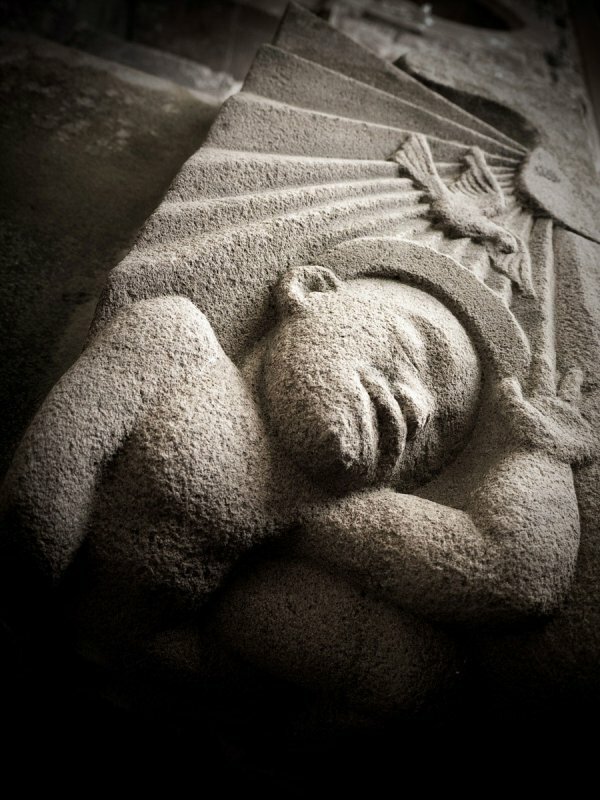 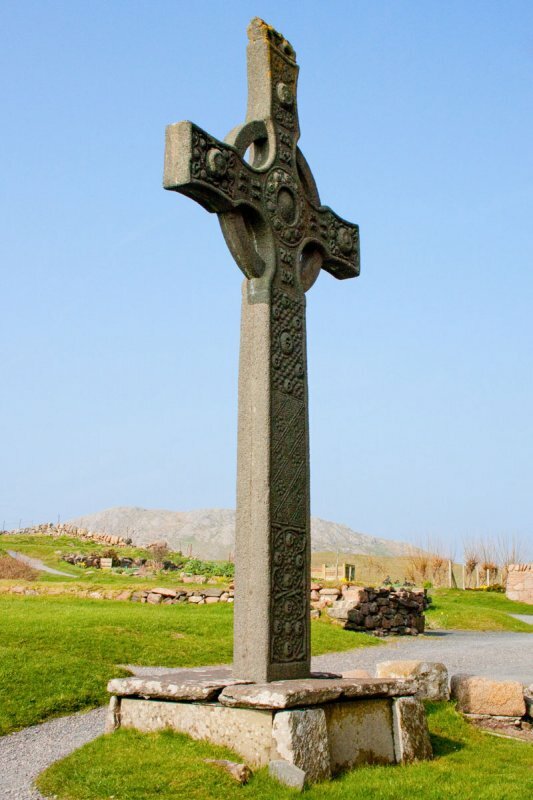 The history of this small island and its special role in the spread of Christianity makes it a well visited destination. 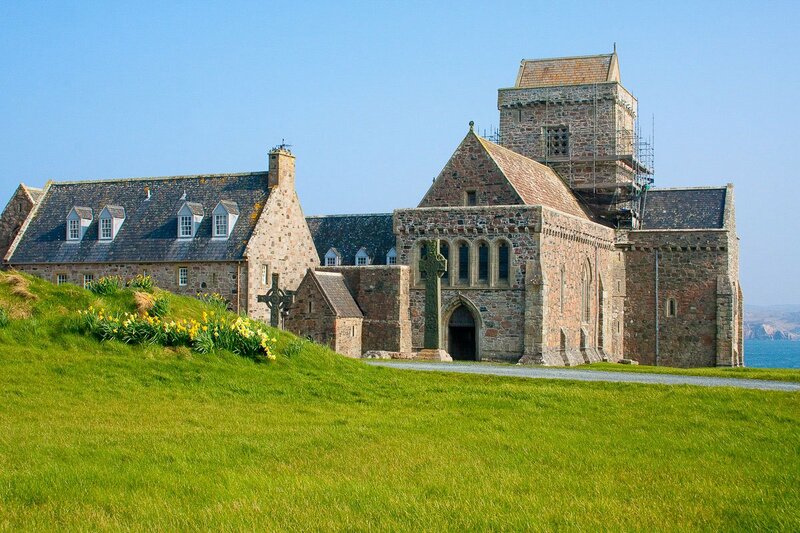 St Columba set foot on the island in 563 AD with his followers, to spread the gospel and the Iona Abbey is one of the best preserved buildings from the Middle Ages in Scotland. 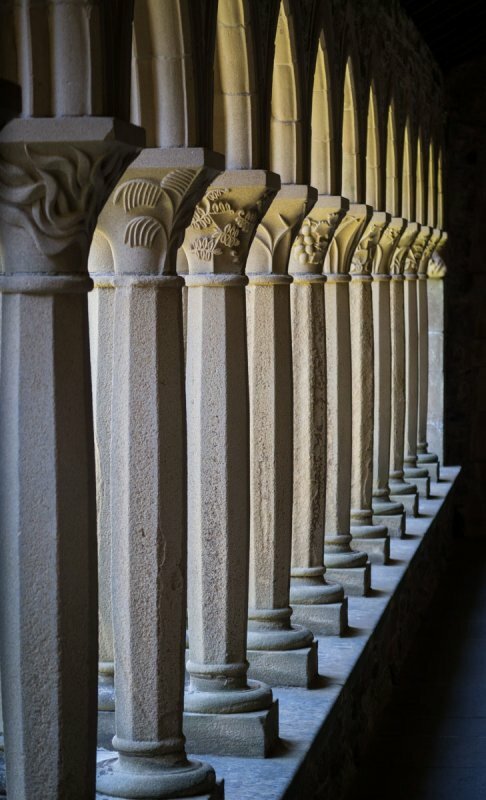 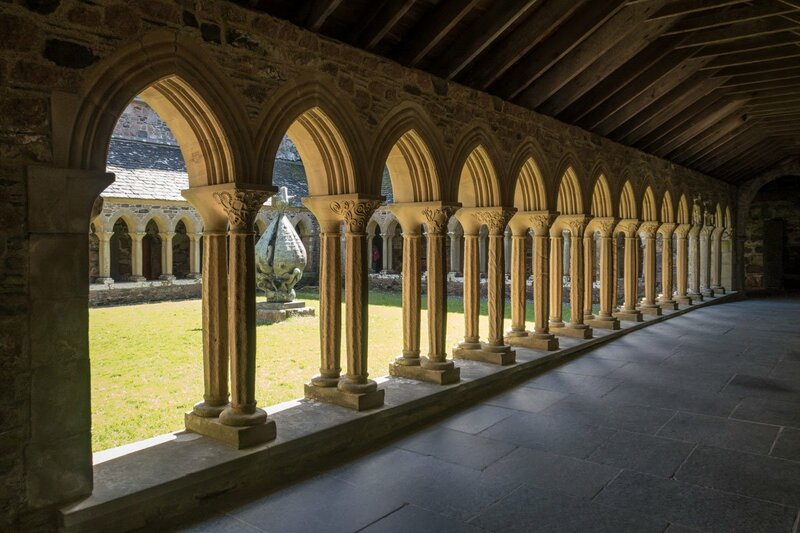 The Abbey can be visited and features many impressive stone carvings and a beautiful cloisters at its centre. 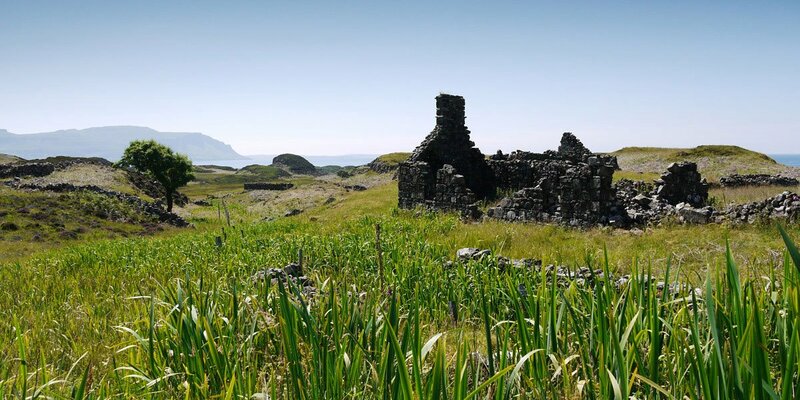 As well as the Abbey, there is a nunnery to visit, established in 1203 and set in its own gardens; St Oran's chapel in the grounds of the Abbey; and a couple of other historical points of interest including the Marble Quarry and Hermit Cell. 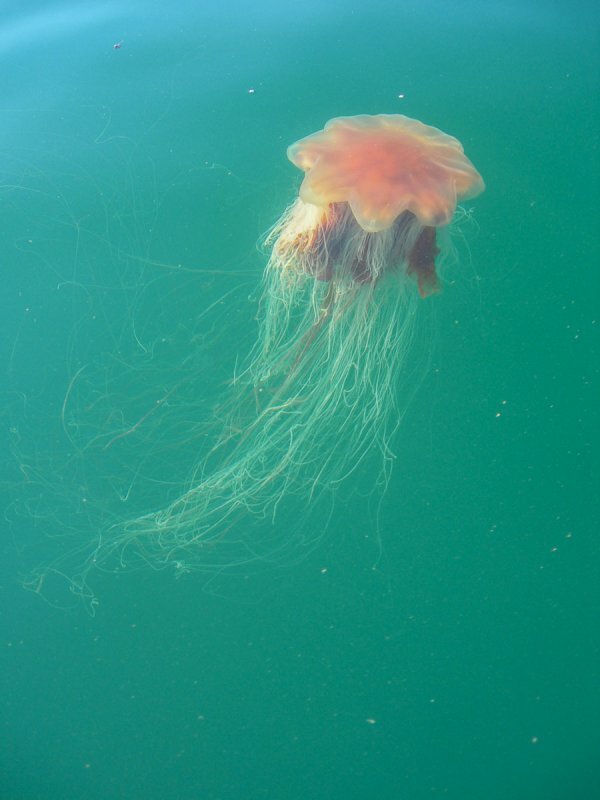 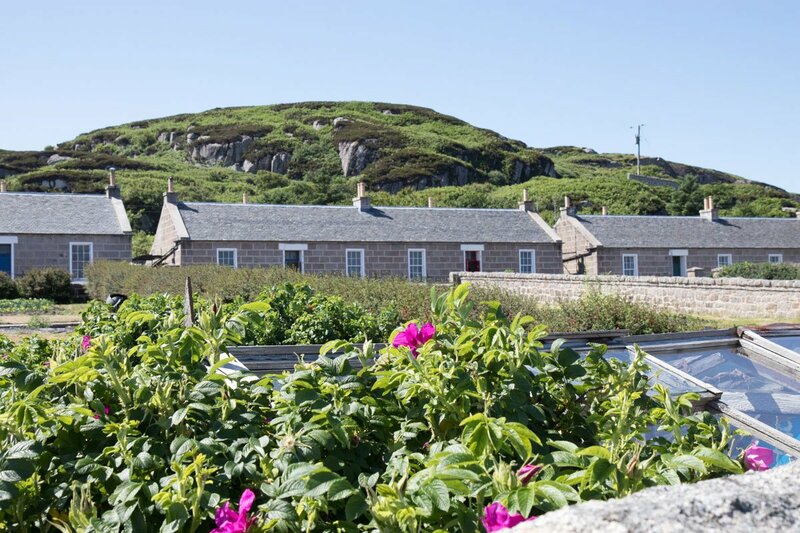 Around 130 people live year round on Iona with the population increasing in the summer months as seasonal workers arrive to help manage the influx of visitors to the island. 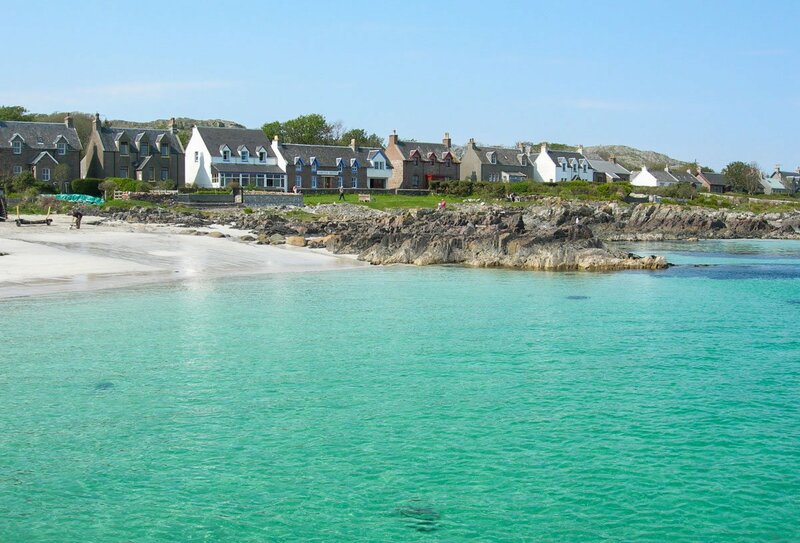 Iona is reached via the passenger ferry which shuttles back and forth throughout the day. 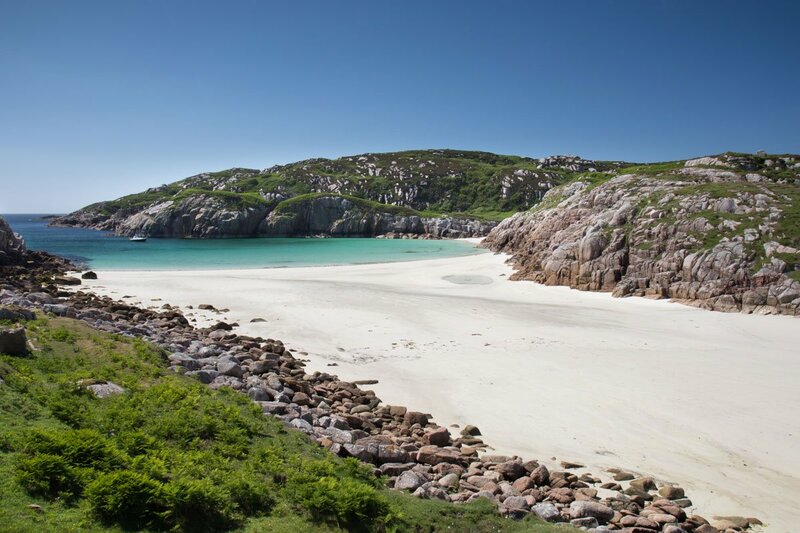 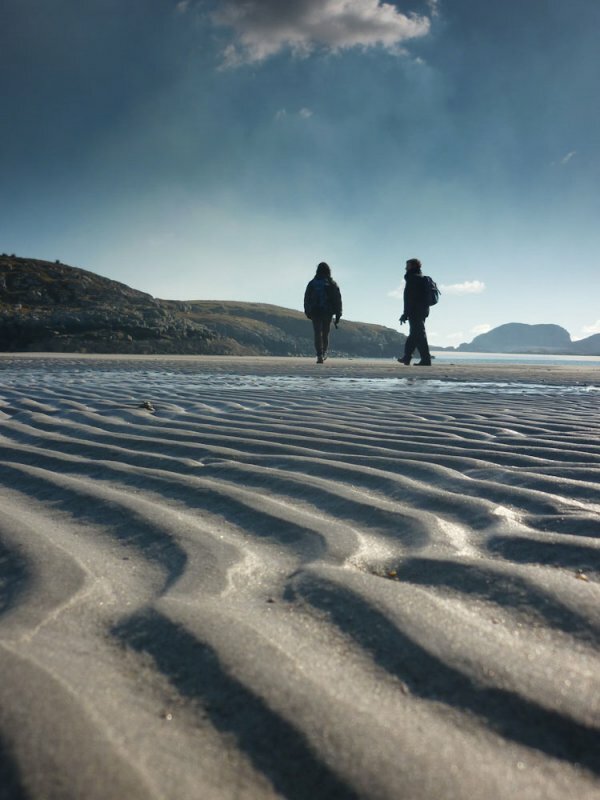 Iona is just three miles long, so can easily be explored on foot. 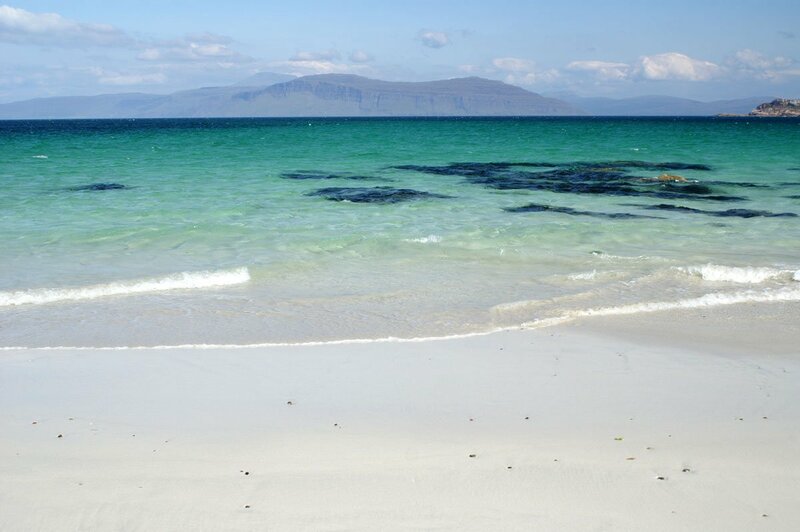 There are lots of excellent beaches dotted along the coastline with some long stretches of sand. 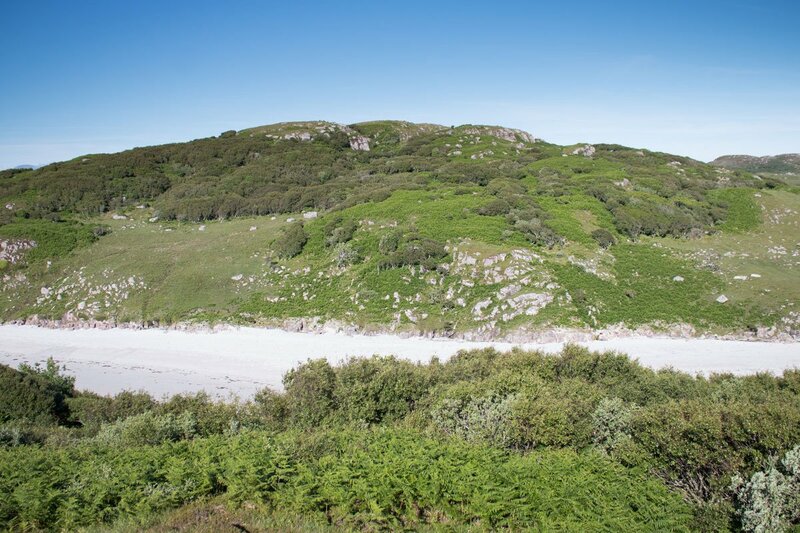 There is a golf course on the western side and nice walks and coastal paths to follow during a day's exploration. 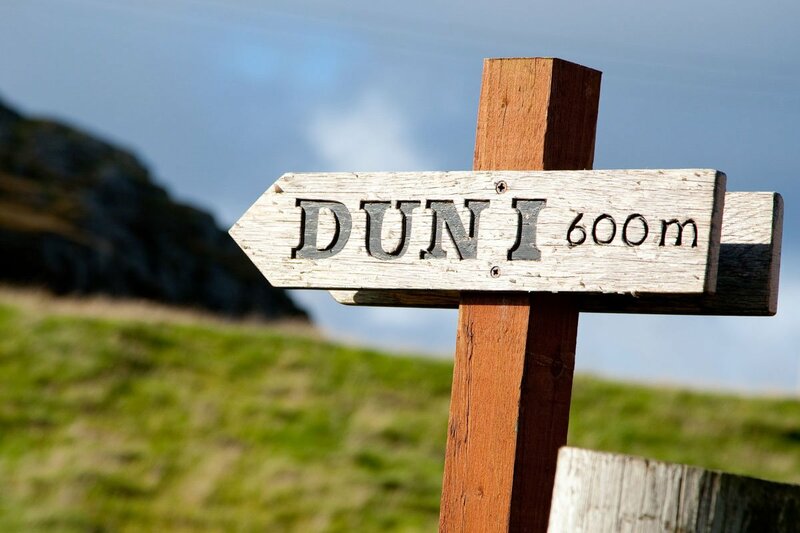 In the main village of Baile Mòr there is a good village shop for provisions, a gift shop and a couple of places to eat too. 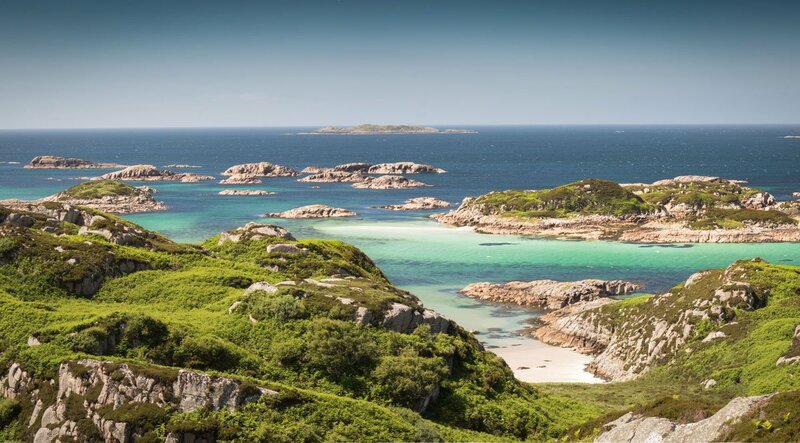 As you walk along the single track road to the Abbey there are a handful more places to browse local craft work, pottery, jewellery and books and you will also pass the Columba Hotel or Iona Heritage Tearoom for a spot of lunch. 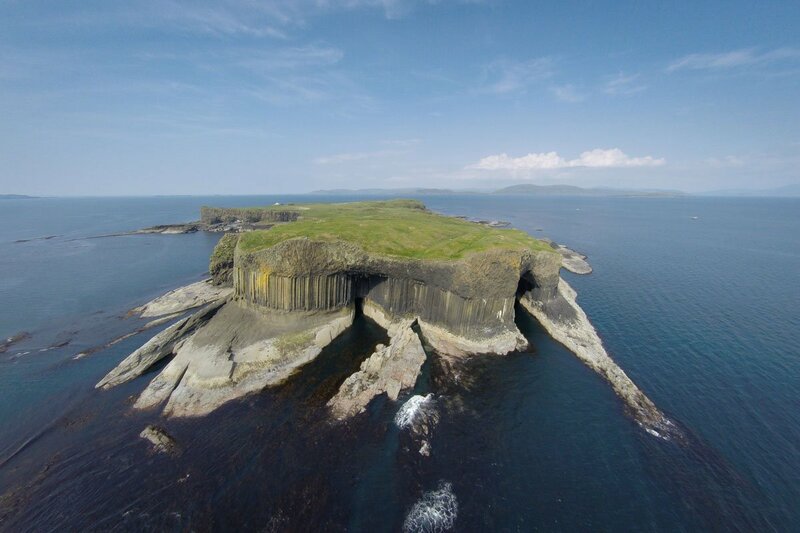 Staffa is an iconic island of the Inner Hebrides, which lies some 6 miles off the west coast of the Isle of Mull. 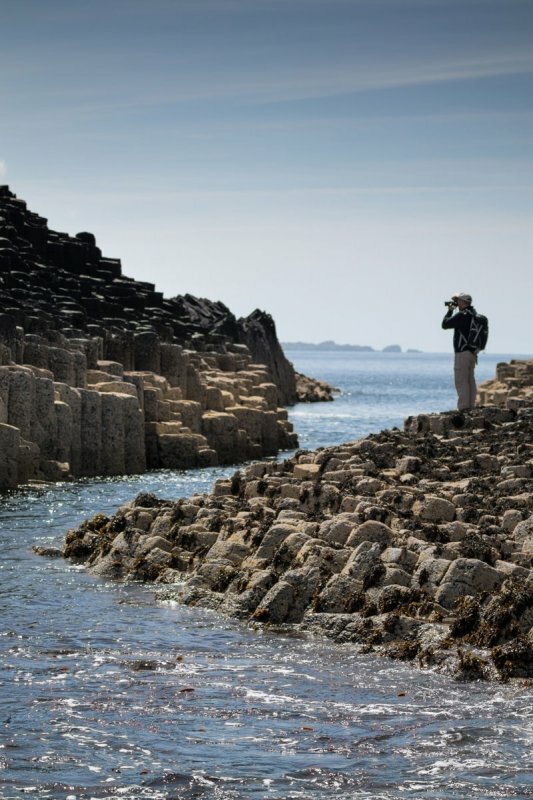 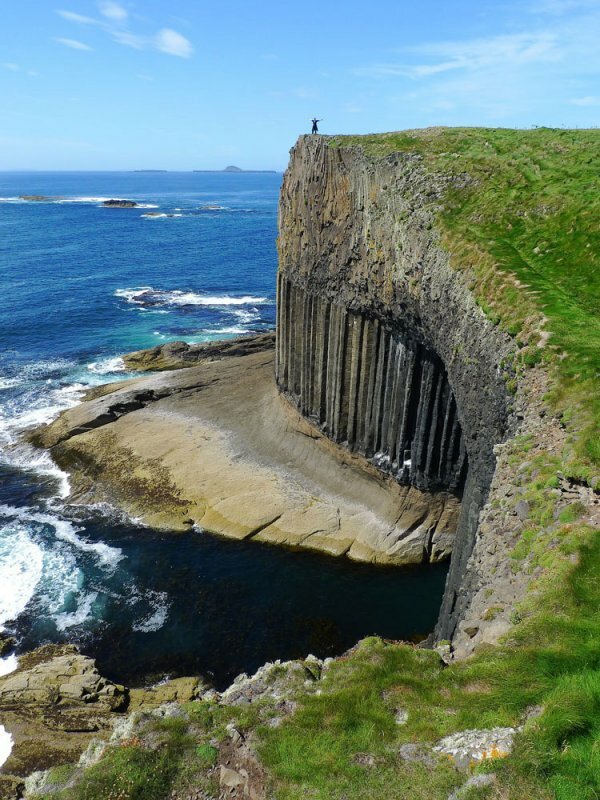 The columnar basalt geology of the island, and an impressive sea cave - Fingal's Cave located at Staffa's southern end (The Great Face), give the island a dramatic appearance. 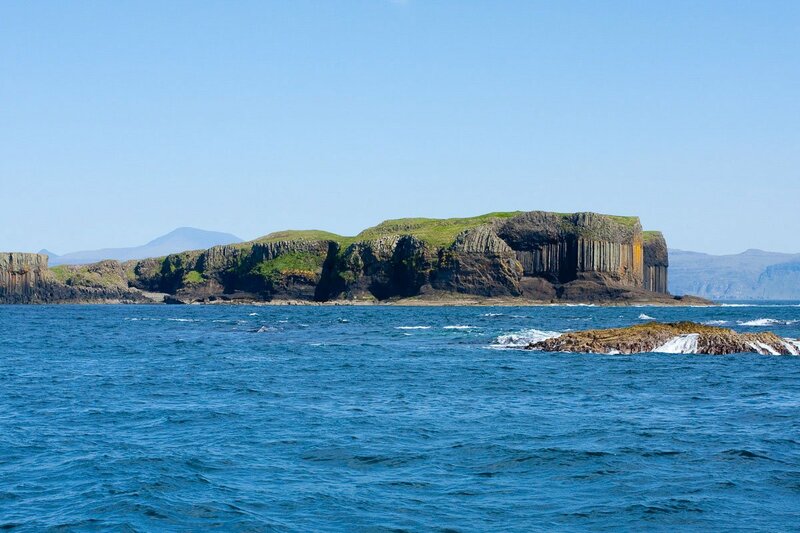 Staffa may be reached via one of the boat trips departing from Mull. 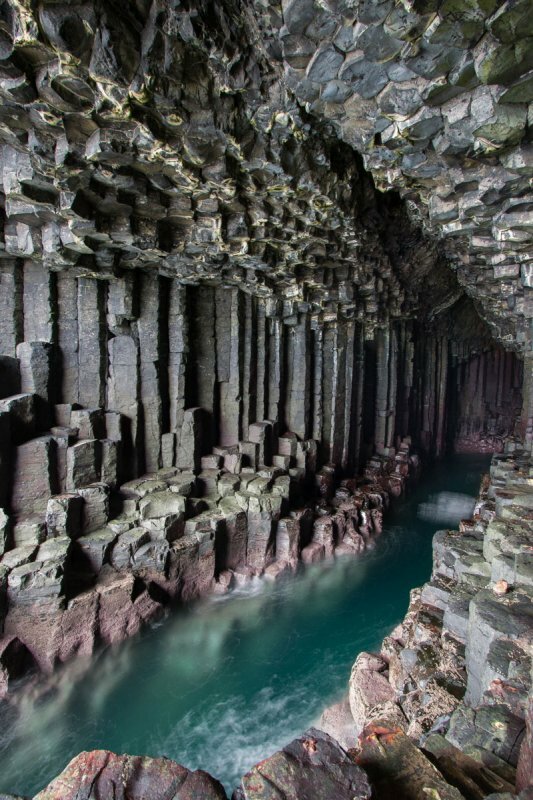 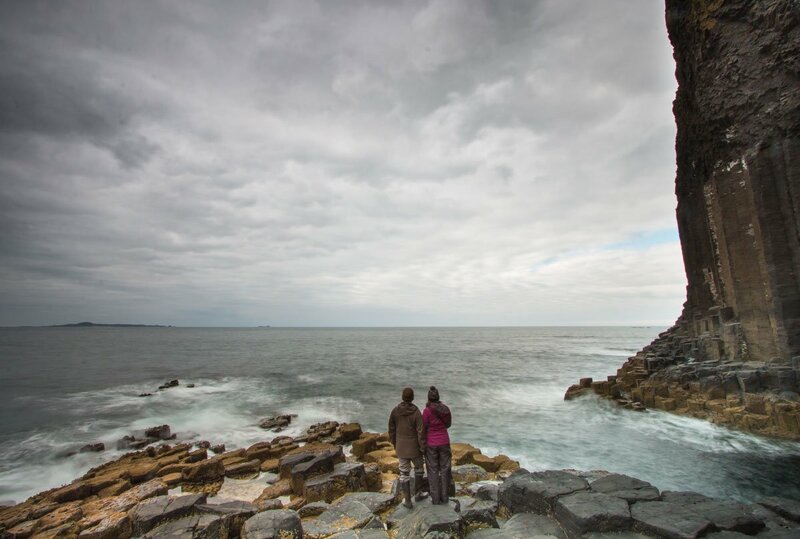 You sail to the island before disembarking onto the pier from where you can walk across the columnar basalt to see inside Fingal's cave and listen to the Atlantic swells crash inside - which was a source of inspiration for the composer Mendelssohn's Hebrides Overture. 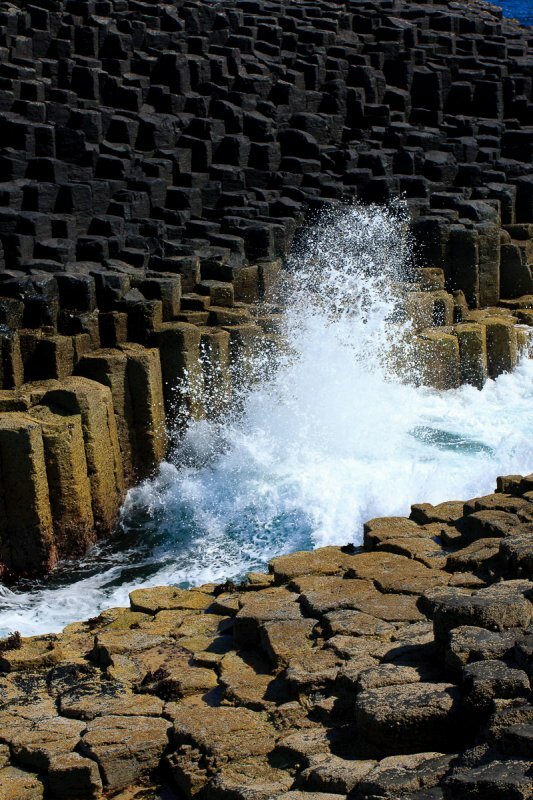 The island is entirely volcanic, formed from molten lava flow millions of years ago and the basalt columns are the same as those found in the Giant's Causeway in Northern Ireland. 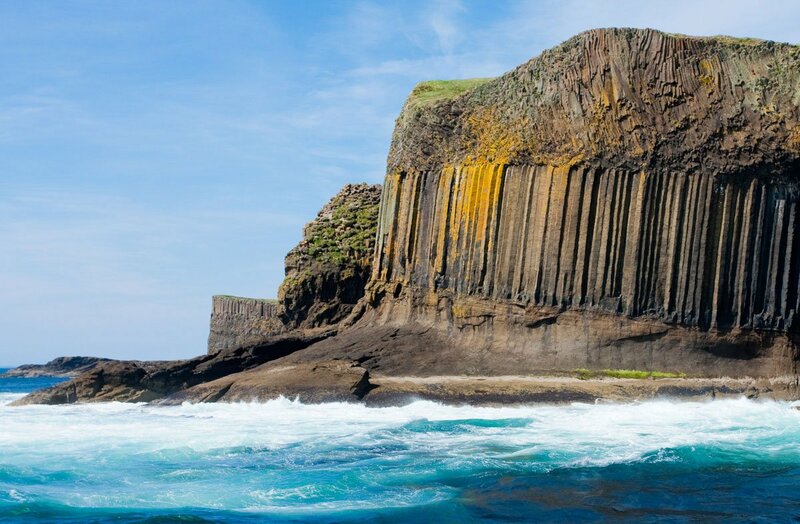 The lowest layer is made of smooth Tuff rock, the columnar basalt is on top of that and volcanic debris makes up the top layer of the island. 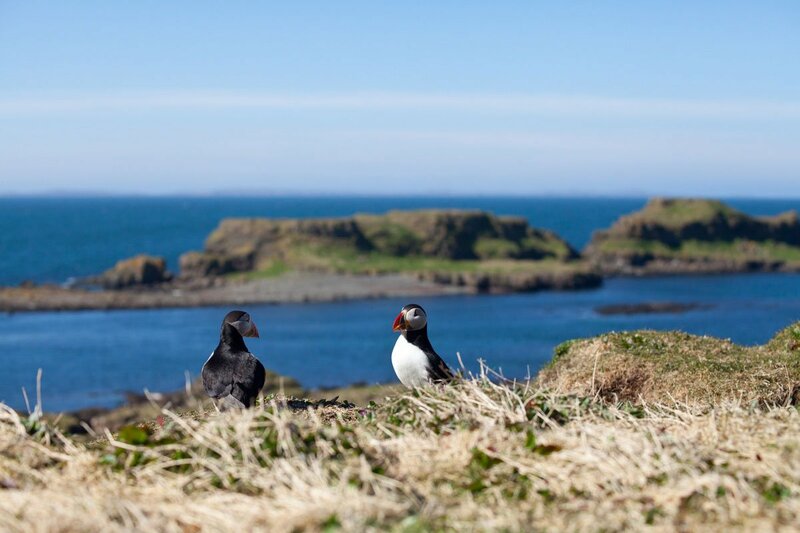 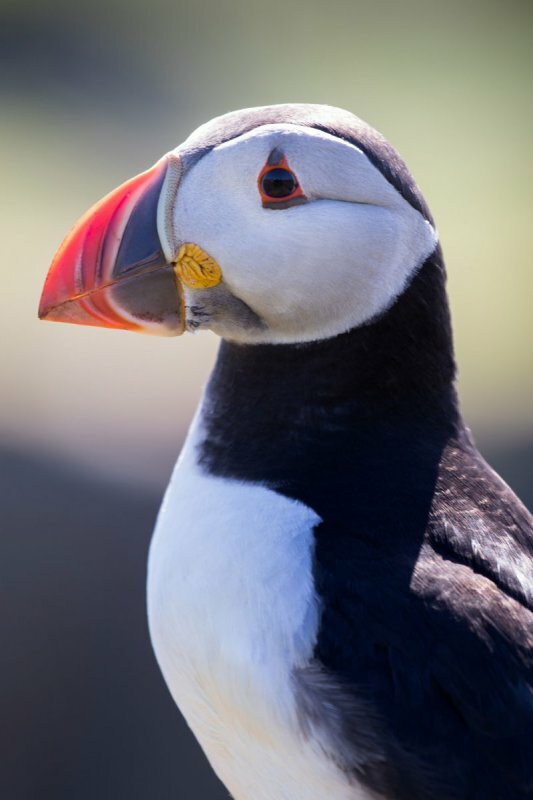 During the summer months puffins arrive and nest on Staffa in burrows at the north east end of the island. 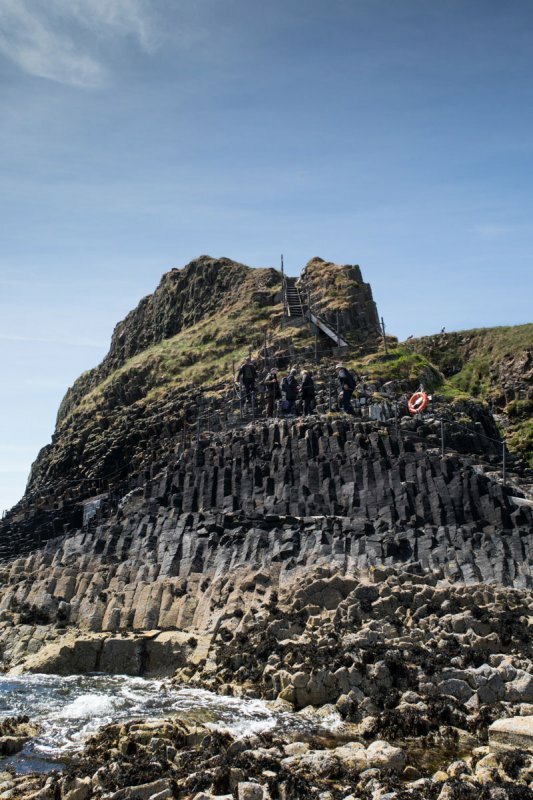 Steps lead visitors to the top of Staffa and paths circle the island giving excellent views of Mull and the surrounding islands. 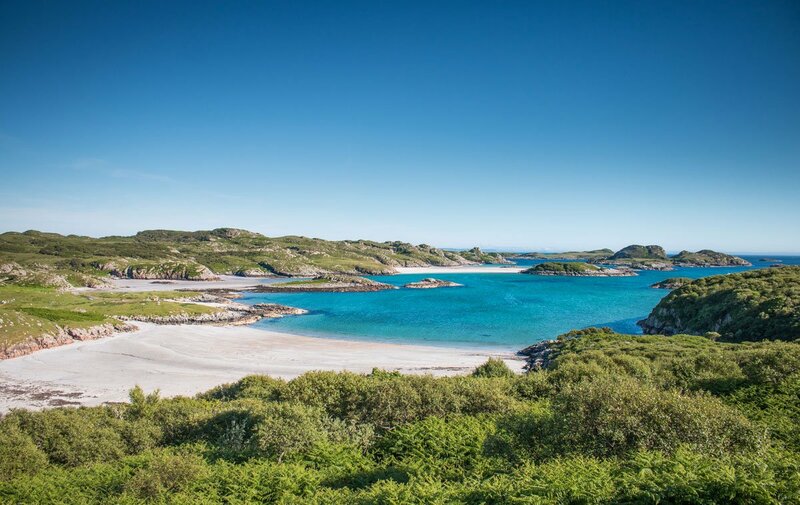 Erraid is a small island located just off the Isle of Mull's south western tip. 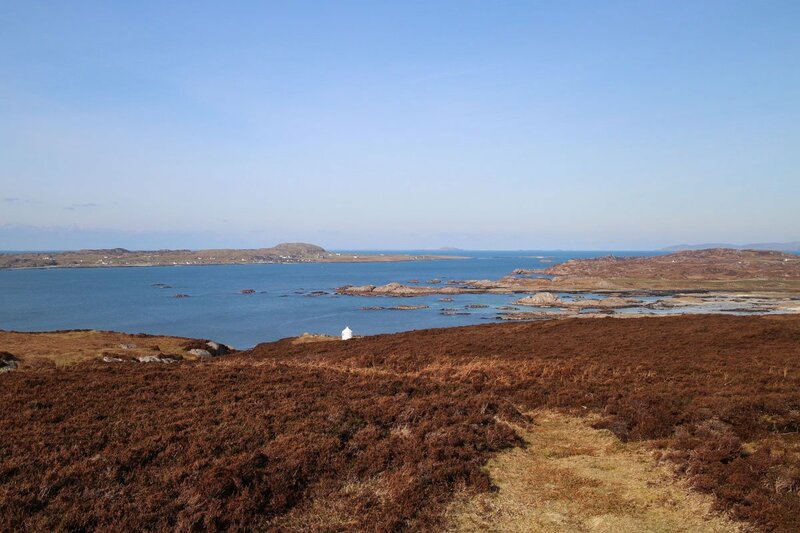 Reached by walking across a tidal sandbar, Erraid is a rocky island with a stunning coastline featuring clusters of small isles and skerries. 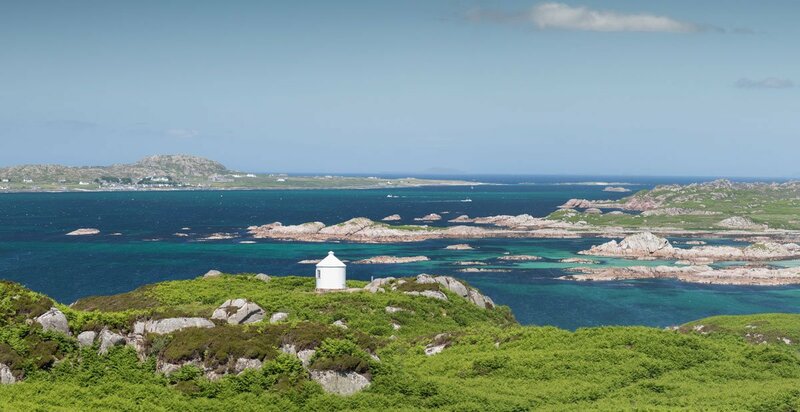 There are no roads on Erraid and a row of former lighthouse keepers' cottages built of pink granite are the only habitation on the island. 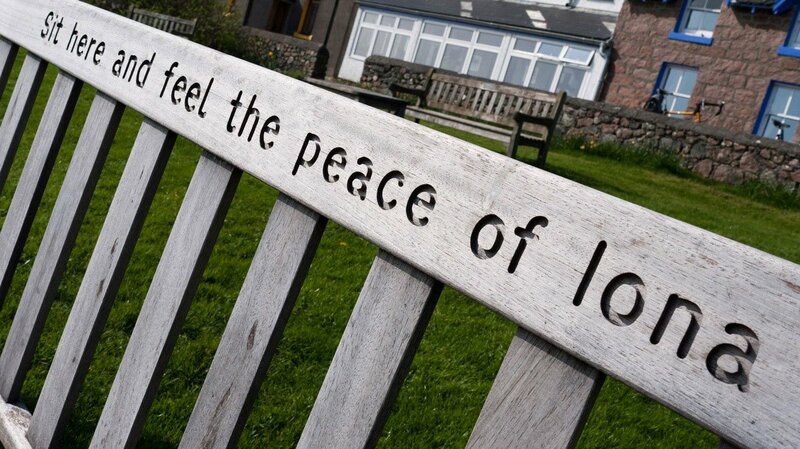 These are now used by the Findhorn Foundation for learning, community and spirituality. 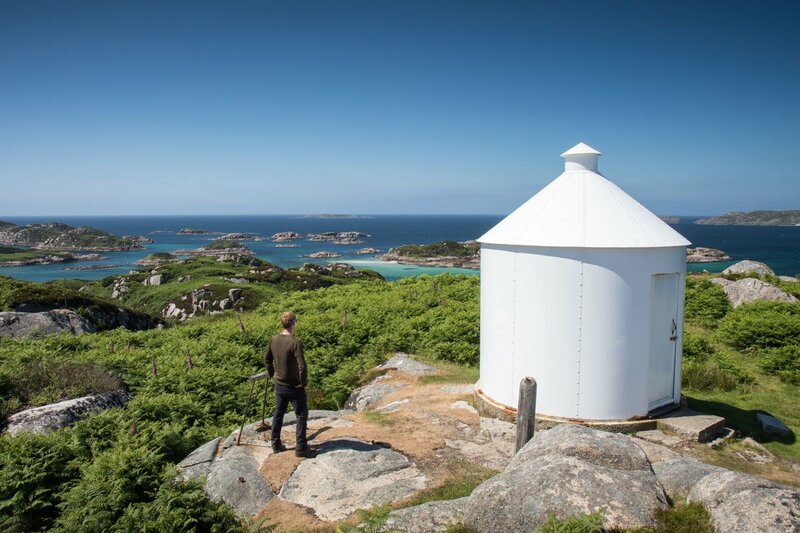 Tracks allow you to explore the island with ease, with one leading up past the cottages to a disused lighthouse observatory. 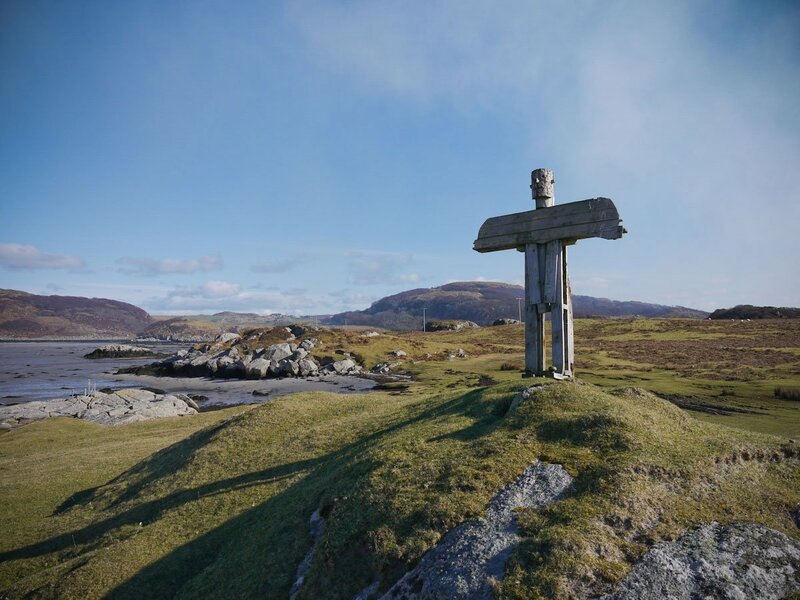 Past this a footpath can be followed to Cnoc Mor, which at 70 meters, is the highest point on the island and offers amazing panoramic views. 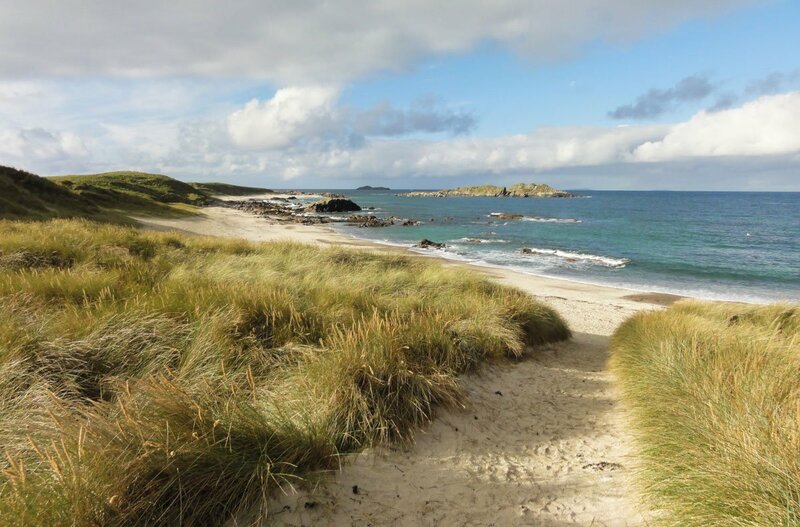 There is safe anchorage for boats in the Tinkers hole, and a beautiful sandy beach on Erraid's south coast (Traigh Gheal). 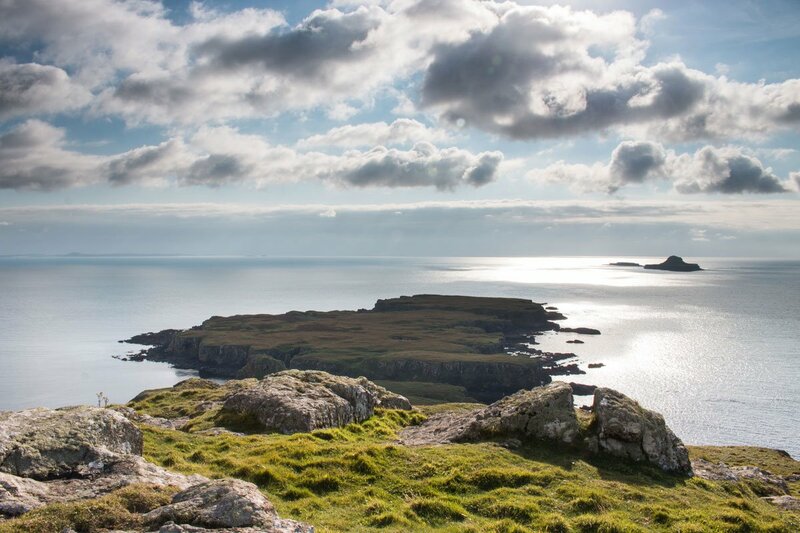 The Treshnish Isles are located approximately five miles off the Isle of Mull's north western coast. 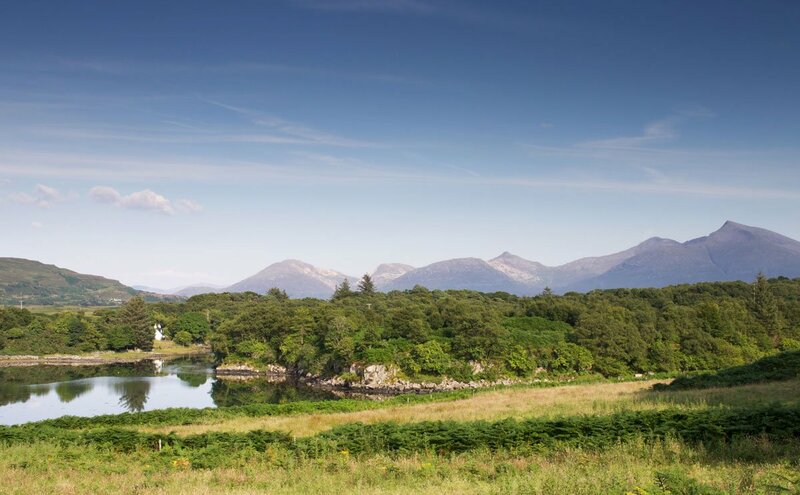 This now uninhabited archipelago of islands forms a distinctive landmark on the horizon when looking westwards from the Isle of Mull. 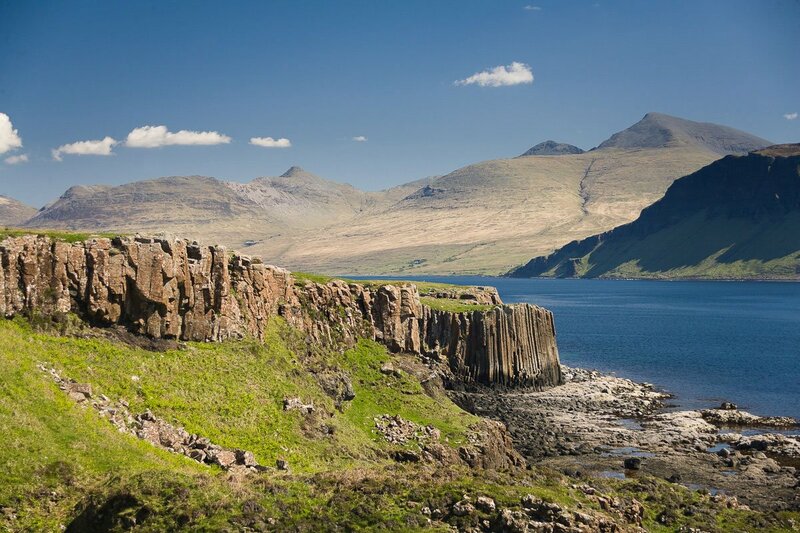 The islands can be visited via some of the superb boat trips that depart from Mull. 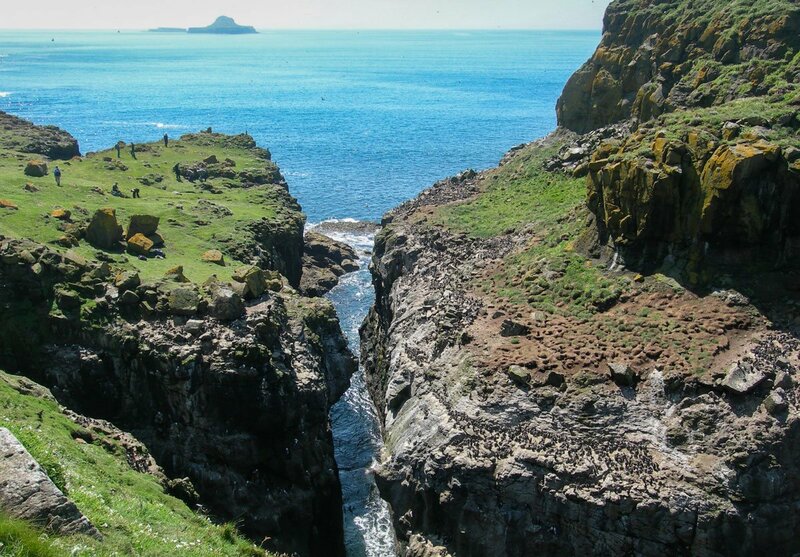 The Treshnish Isles run in a line from south to northwest. 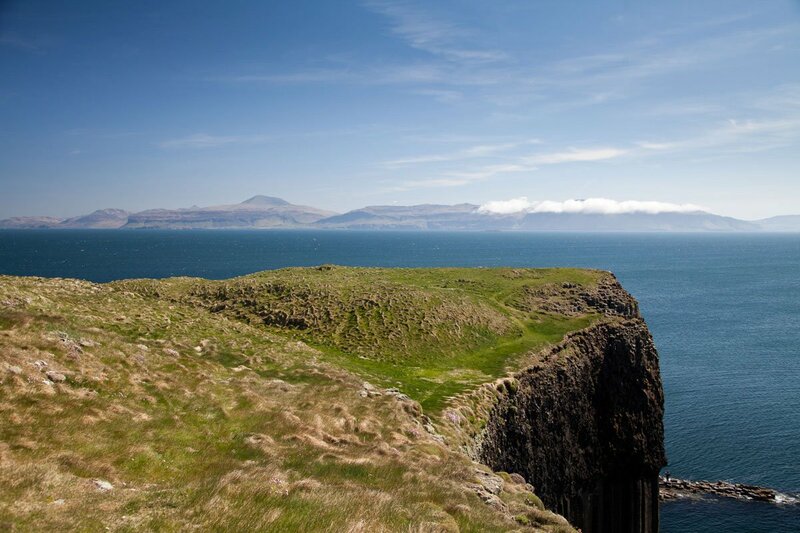 Bac Beag and Bac Mor (known as the Dutchman's Cap) are the most southerly islands. 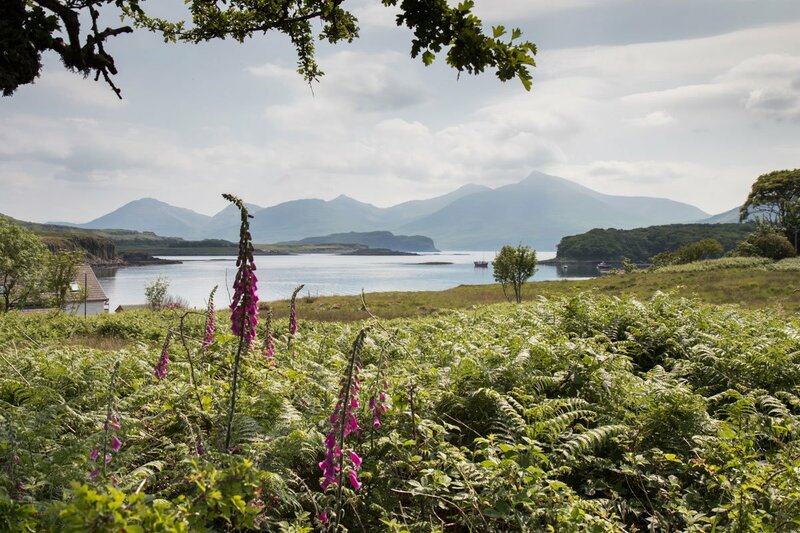 Lunga, the largest of the islands has the highest point (Cruachan) at 103 meters. 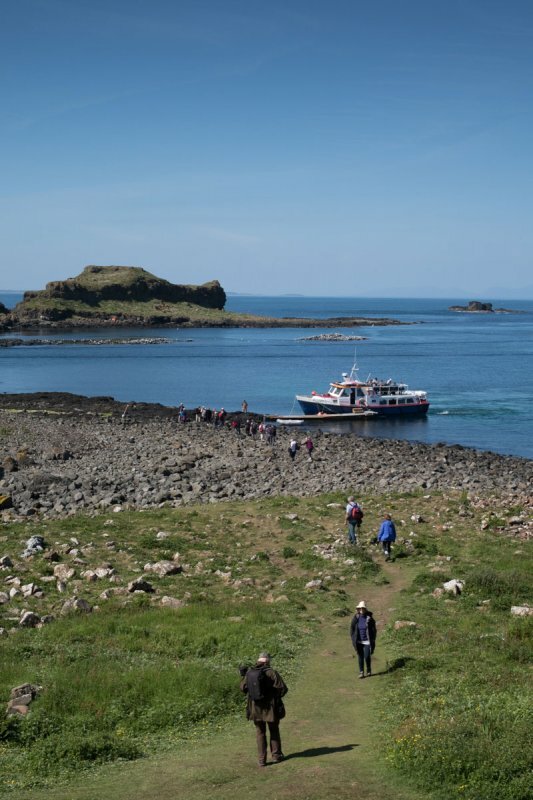 Boat trips land visitors at the boulder beach on Lunga and from this point the island can be explored on foot. 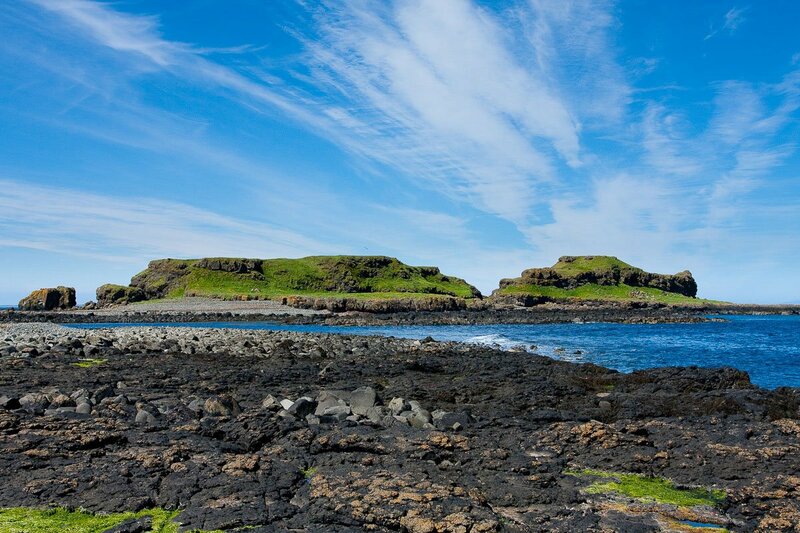 A scattering of smaller isles and skerries sit to the north, with the islands of Fladda and Cairn na Burgh More and Beg at the northern end of the Treshnish Isles. 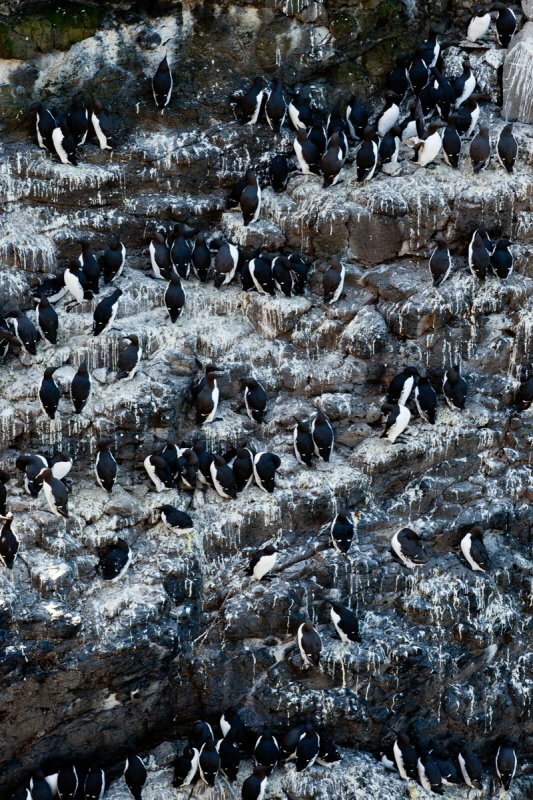 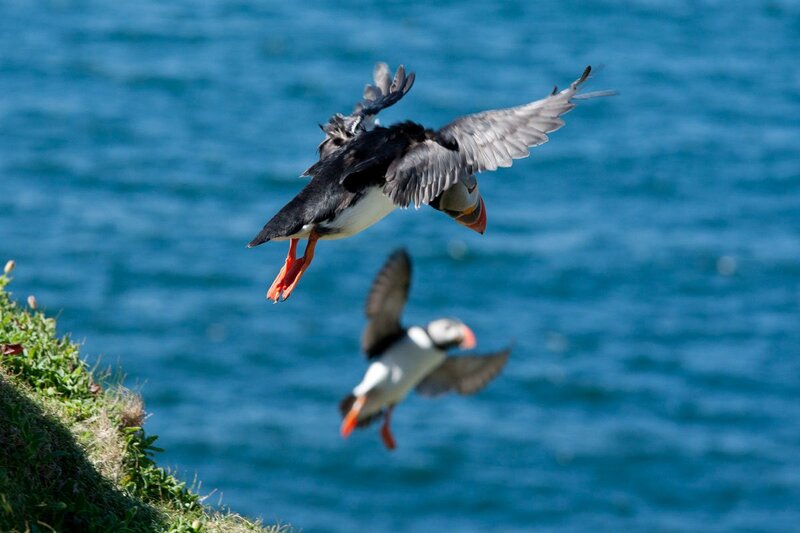 During the summer months the islands become home to the many puffins and guillemots that breed here. 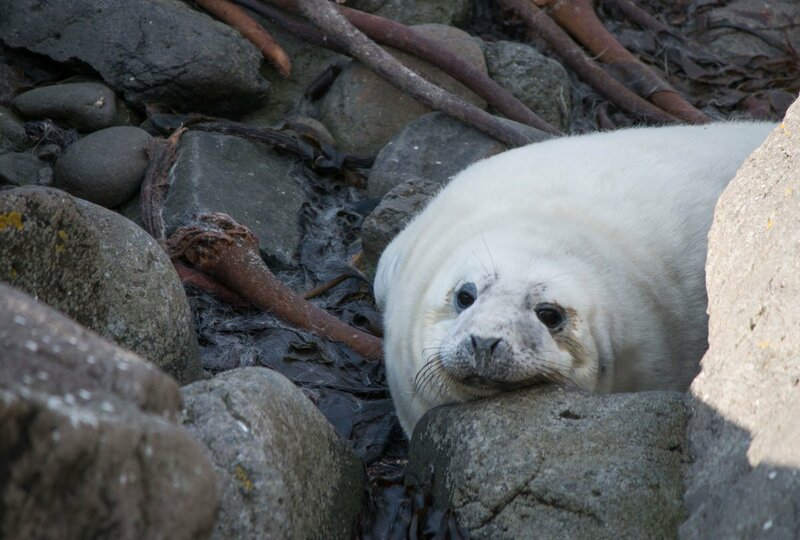 During the autumn you can also see many grey seals pupping.